I perfectly remember my first encounter with Johan Galtung‘s work, which was during a Peace Studies inspired conference in Indonesia. Studying at university, I frequently got to the point of asking myself: What is the purpose of all these theories? As an intern and trainee at the Galtung-Institut, I am currently concerned with Galtung’s Theory of Civilization, a work on unconscious deep cultural assumptions which become salient when legitimizing cultural violence. Indeed, at the beginning it was challenging to immerse myself into this reading which took me to theoretical and conceptual dimensions which I have never considered so far. However, by gradually learning and applying this new perspective, I found out that this is not at all as abstract as I was thinking before. Yes, it is pretty far from conventional perspectives we are mostly taught at university, but the more you read and the more you understand, the more you identify how applicable Galtung’s sociological instruments are to what is going on out there. Writing weekly essays, I have the chance to digest the newly learned content in a reflective and scientific way. Personally, the most important gain I get from this practice is self-confidence to freely manoeuver my ideas while orienting myself following the deeply reliable direction signs of Galtung’s theoretical frameworks. At the Galtung-Institut, you are not urged to suppress upcoming questions because they do not fit the frame of the applied theory. You are rather invited to raise all these questions, and to find the link between all of them. „SAPERE AUDE“, as I was reminded at the beginning of my internship, and „don’t stop asking“. Something that, to some extent, I unfortunately unlearned at university. 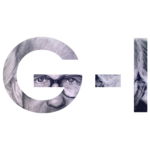 Of course, doing a remote internship at the G-I is not restricted to diving into the deep fascinating ocean of Galtung’s theory just by poring over his books for hours and hours. As a YADIP trainee, the purpose of the whole exercise – not to forget – is that we can understand conflicts better and contribute to solutions in a constructive, in a methodical, in a professional way. As there are always conflicts going on globally, you can always open up your WhatsApp (we have a shared whatsapp group) and find lively discussions within the team. If you don’t find any, just start one and you can be sure to get an answer and probably a new inspiring insight very soon! Besides the content work, of course, there are always admin things which want to be organized. The Summer School which we are planning for next year 2017 is a huge chance to promote the team and the work of the Galtung-Institut. To me, planning such an event in Skype with people sitting in front of their screens all around the world, is an amazing experience which always reminds me of the fact, that a common goal can bring people together regardless of any distance.